I didn't own a Trent until Gene's 2010 convention in Philadelphia, I went home with three Trents. I also attended a class on flocking hair on dolls. I bought the flocked Trent, but my flocked Trent only came wearing boxers. 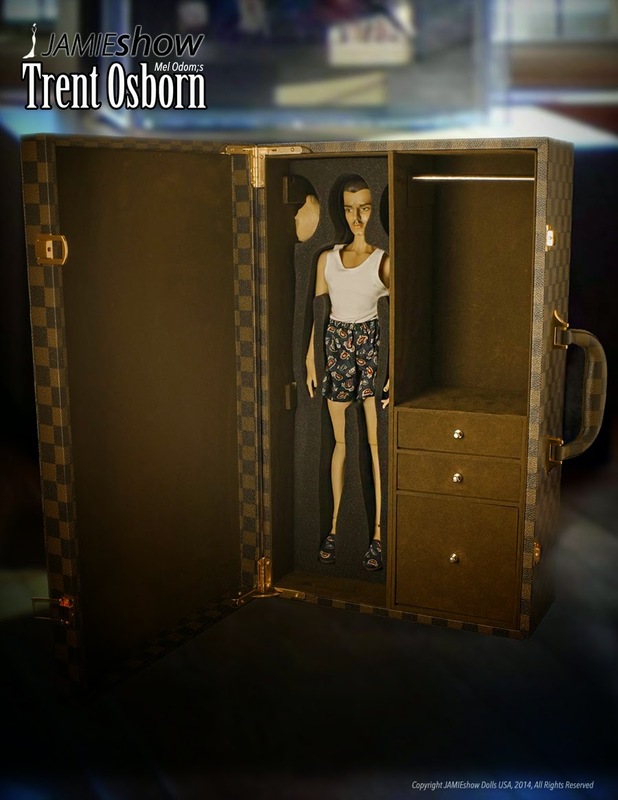 I had received a shirt and some other men's accessories as a table gift at the Trent luncheon so my poor flocked Trent has stood around in my sewing room wearing only a shirt and boxers for the last 5 years. I thought about making him some pants and finding him some shoes to wear, but I never got around to it. Then along came the JAMIEshow Trent. I told myself I wasn't going to buy him. I wasn't going to buy him!!!! Then people started posting picture of him on the doll boards and Facebook, and I caved and bought him. 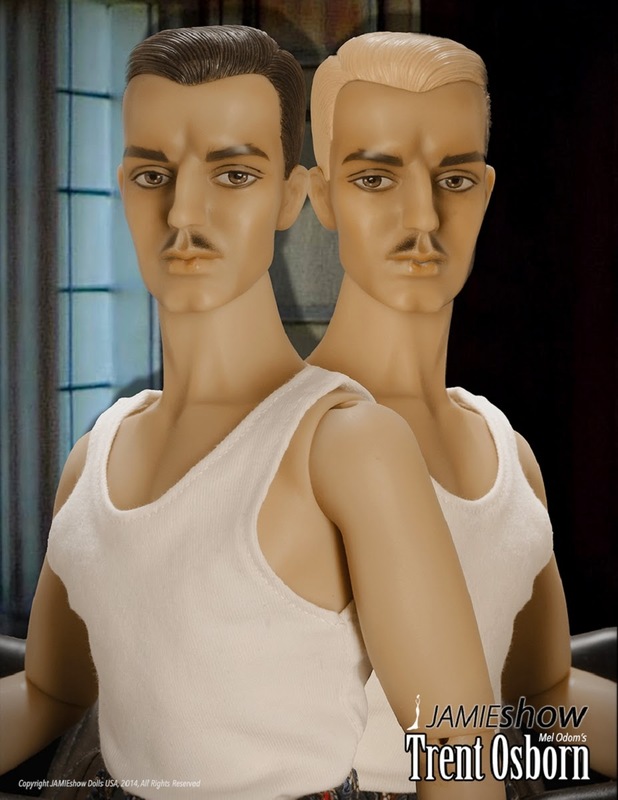 I fell in love with him, and then next thing I know I was thinking about sewing for him. 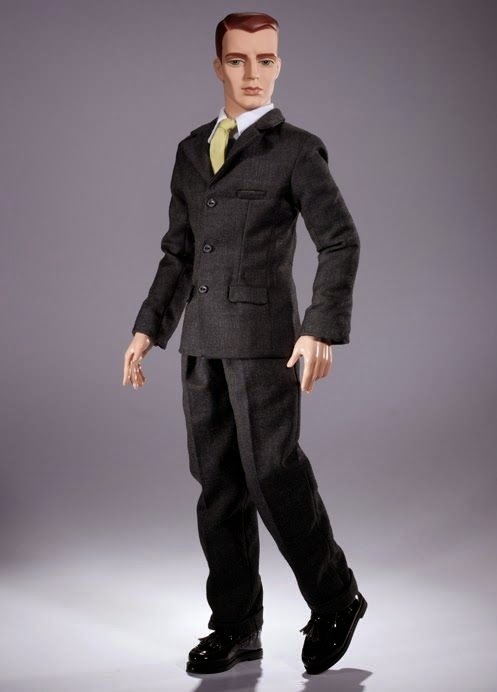 Here is my first suit for Trent. Let me just start by saying that Trent's suits should sell for at least double the price of Gene's clothes. 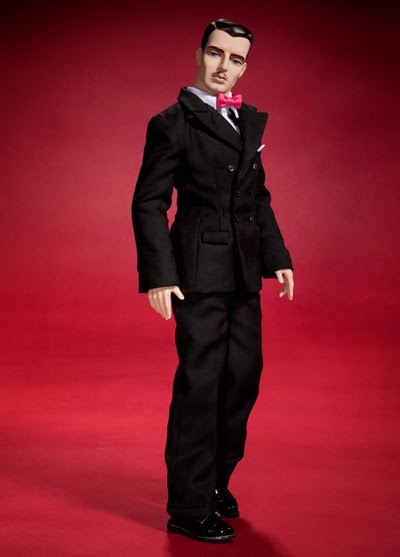 There are so many details in menswear even for a doll. It took me 6 attempts to make this suit. I am happy with the results, but I plan to tweak the fit a little more before I make more suits and sell the pattern. This is the same taupe wool fabric that I have been working on for a month or so. The color is darker than it photographs. The buttons were really hard to find to match this fabric and look much better in person than they do in the pictures. I am not crazy about the fit in the back, or the fact that it is impossible to get the back vent not to gap open. I was stressing about the fit, then I compared my jacket to the two jackets that I own and decided that my fit is better than the "Dreamy Trent" and "Men's Club Trent" jackets. My JS Trent is also standing without a stand, which is awesome, but to keep him from falling over he is standing with a swayback. I think that is part of the reason the back doesn't look as good as I would like it to. His pants are a little long, I may change that. His JAMIEshow shoes are a work of art. The shirt and tie are borrowed from Tonner's James Collins. Squee!!! Check out his bum!!! I made faux welt pockets!!! And belt loops!!! I have plans to make more clothes and patterns for Trent in the future. I hope to take a few things to Sandra Stillwell's convention in August. Fantastic job, Diane - if anyone can create a perfectly tailored suit, it will be you!